What is the most asymmetrical animal? The vast majority of animals are symmetrical - i.e., the left sides of their bodies are mirror images of the right sides. Of course very few, if any, are symmetrical when it comes to internal organs. Also, I've read that some crabs have one claw much larger than the other. So what is the most asymmetrical living animal on the planet - excluding, of course, congenital defects? Max - So there's actually a very clear answer and there's lots of animals that are a little bit asymmetrical. You've got flat fish that as adults, that one eyes migrated around to the other side of its head. And you mentioned the crabs with the one large claw but all of those animals tend to develop symmetrically. They start off being symmetrical when they're first conceived or when they're larvae or embryos or something on that line. However, there's one thing that is never symmetrical at no point in its development unless you count when it's a single cell. That's sponges. So, coral reefs, you've got sponges which are generally considered - a single sponge is considered to be a single organism. But it's almost not. It's an aggregation of loads and loads of different single cellular sponge cells. As they form together, they form this colony which just kind of pieces together in different shapes and has no identifiable symmetry. 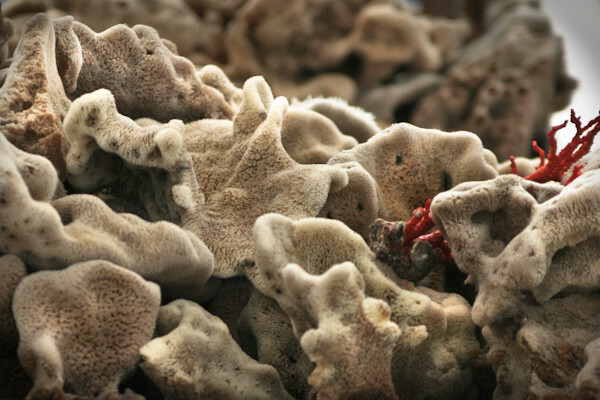 The reason that counts as an organism rather than a colony because once they do all form together, they do start specialising all the little sponge cells do specialise to different roles and would no longer be able to survive on their own. Kat - Presumably, before they get stolen by a dolphin to go diving with. Kat - Does that answer your question there, John? Did you think it was a sponge? John - Well, I would never guessed. That's kind of an extreme. So, okay if he classifies them as an animal, God knows they're asymmetric. I mean, I wash my kitchen sink every night, those little pores and whatever are not so much. Kat - Well, there you go. When you go and wash up tonight, you can think of the sponge. Thanks very much for your question. Thanks for calling in. Previous Why does a hole in a piece of paper correct my poor vision? Next Do brains work better at cold temperatures? How well can sharks smell? Why does decaf coffee increase cholesterol in blood more than regular coffee?